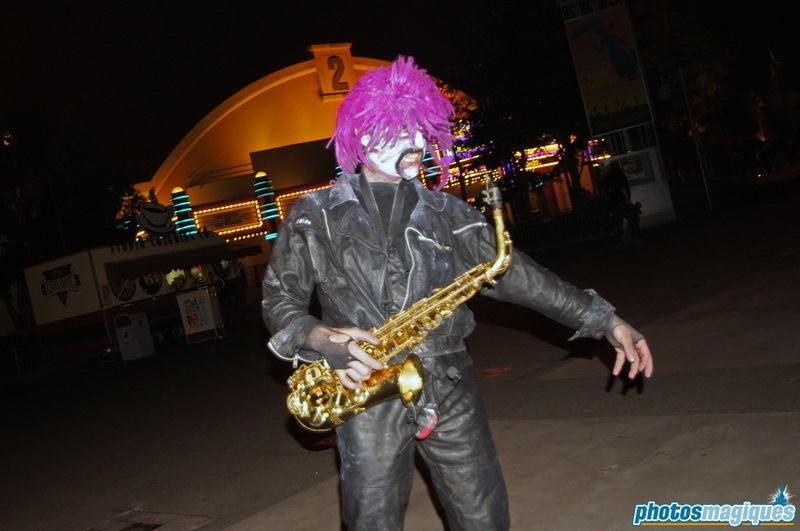 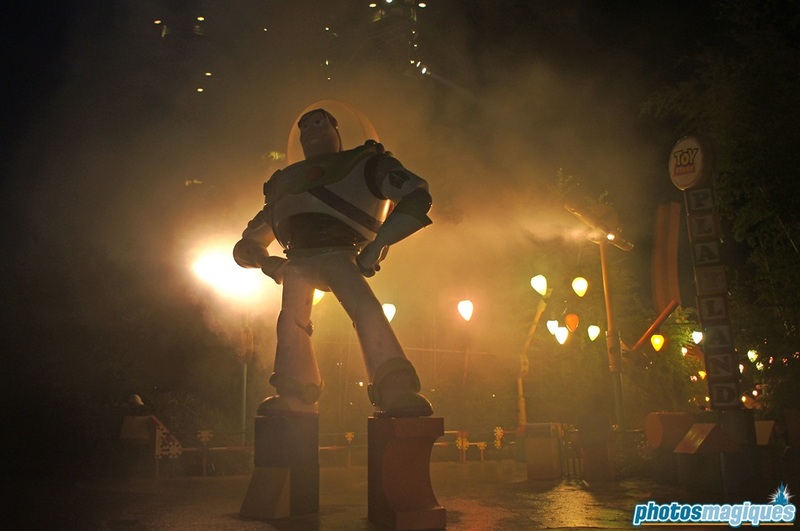 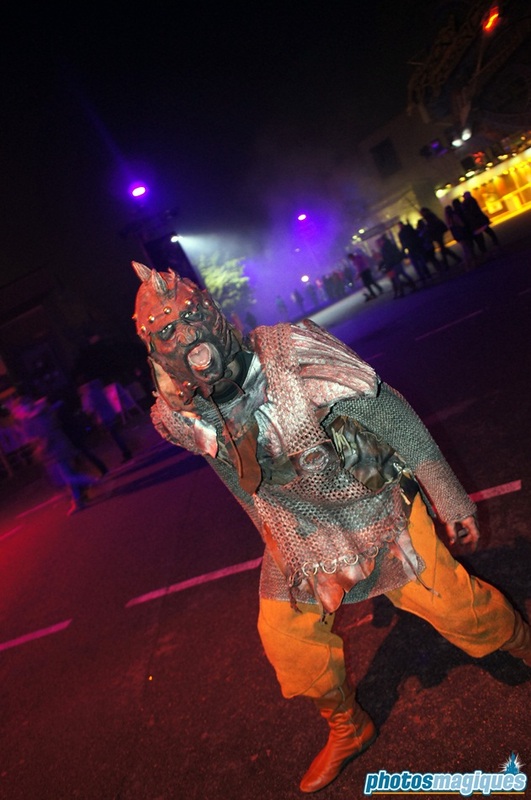 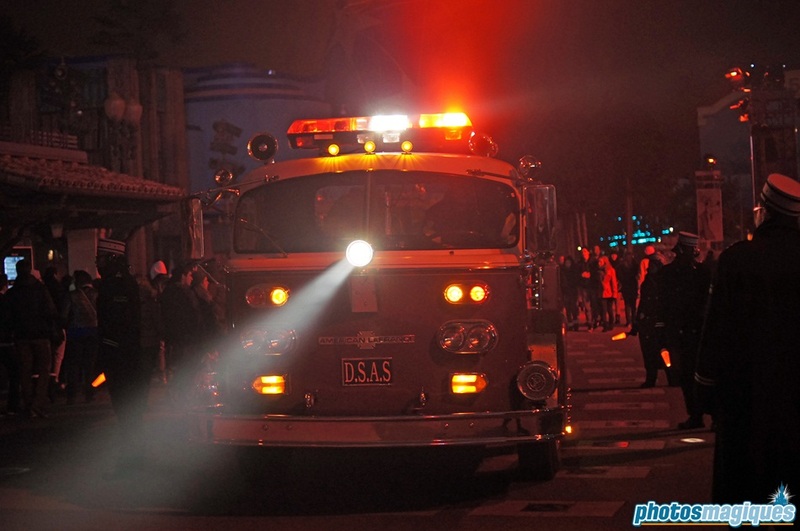 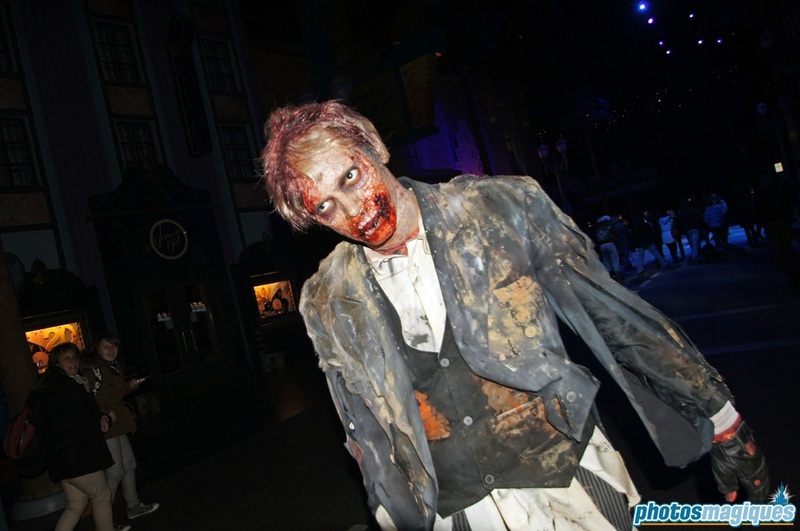 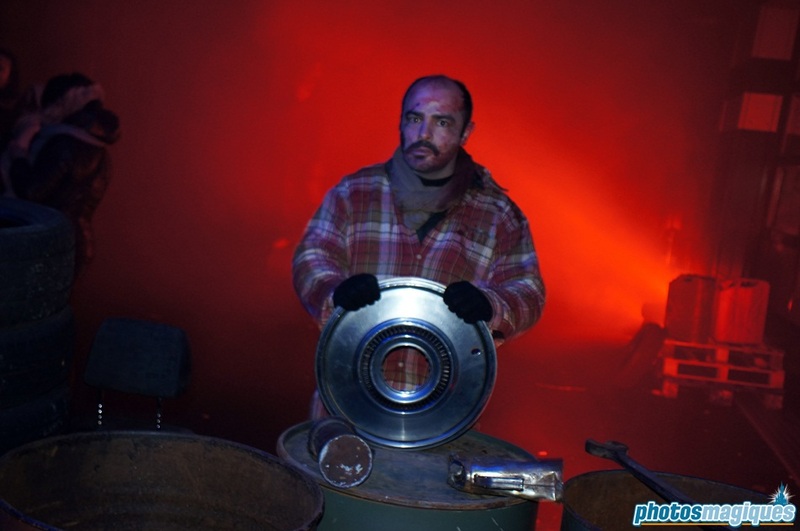 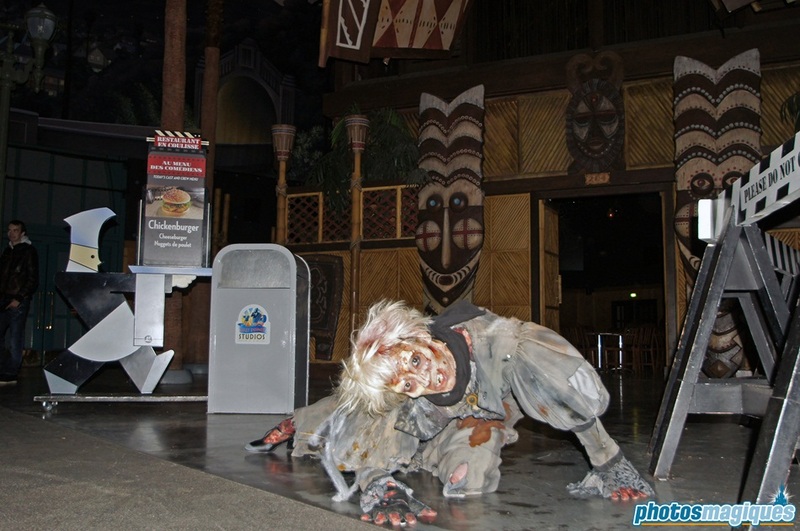 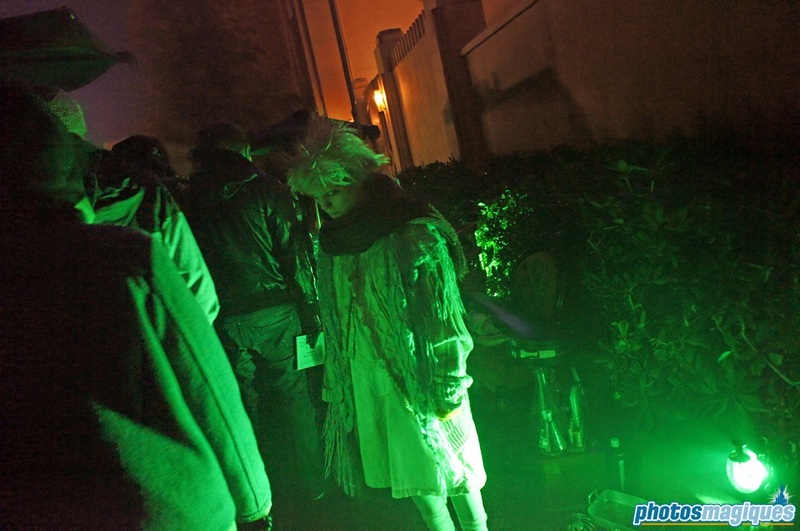 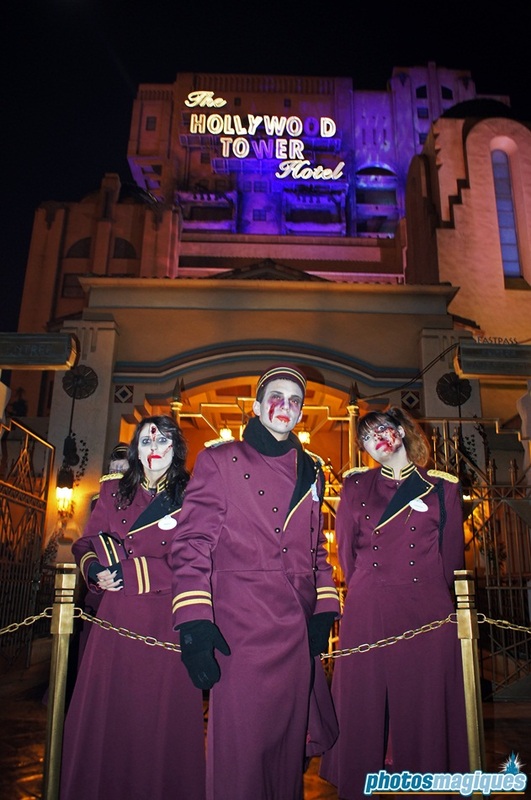 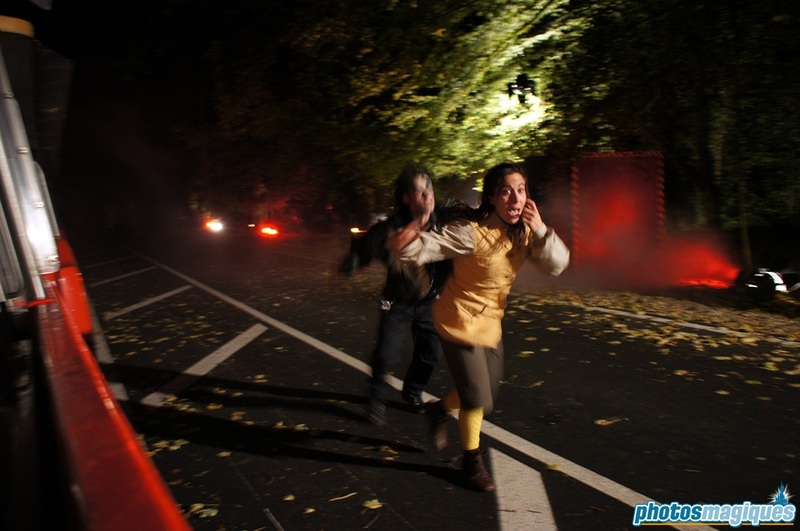 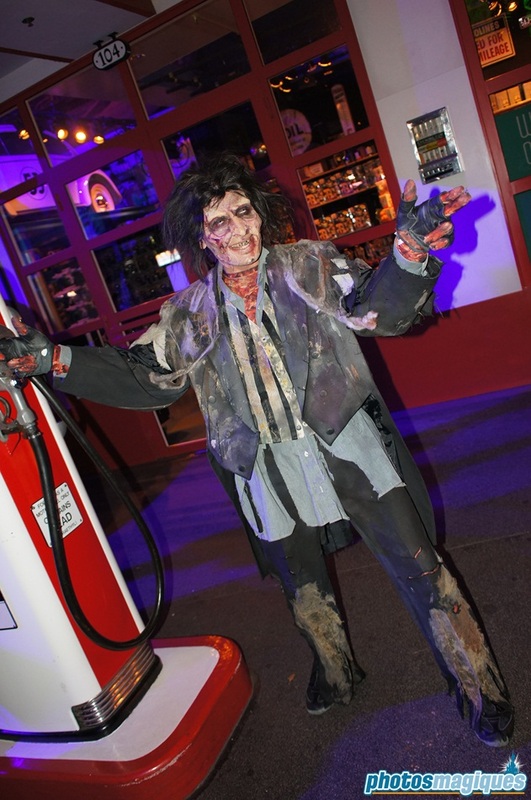 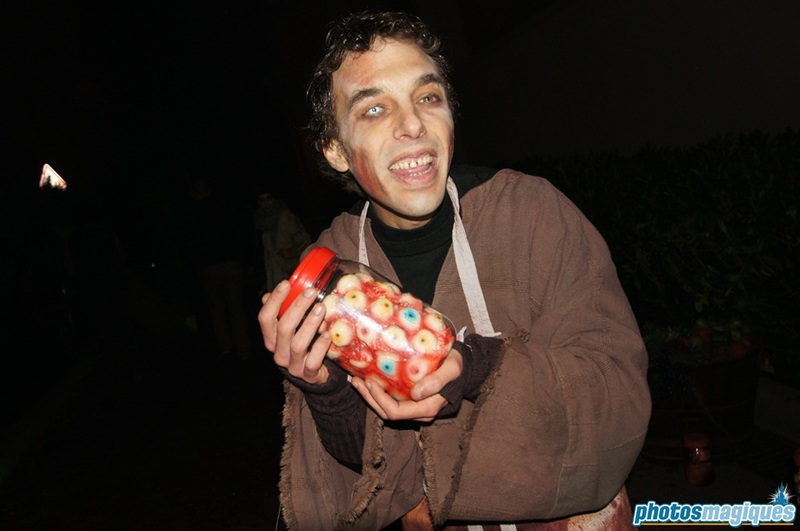 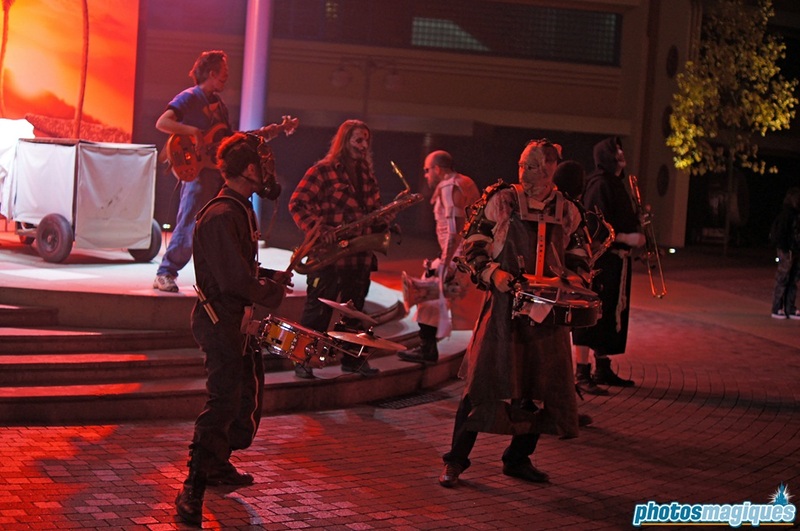 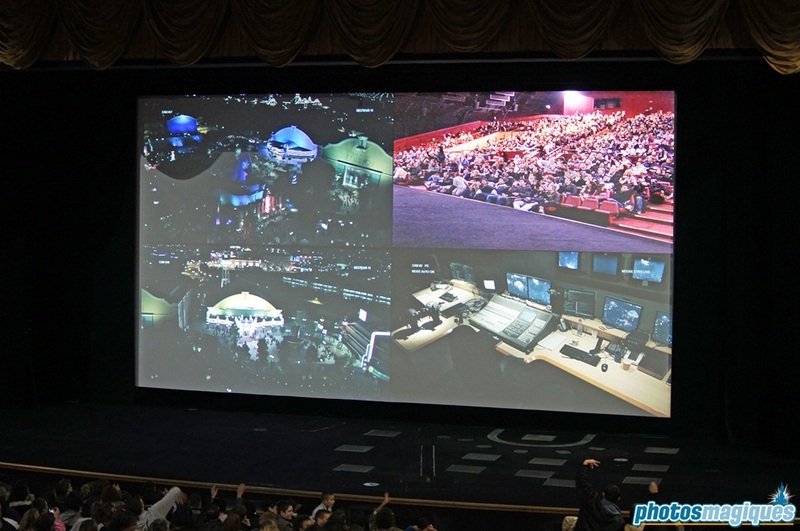 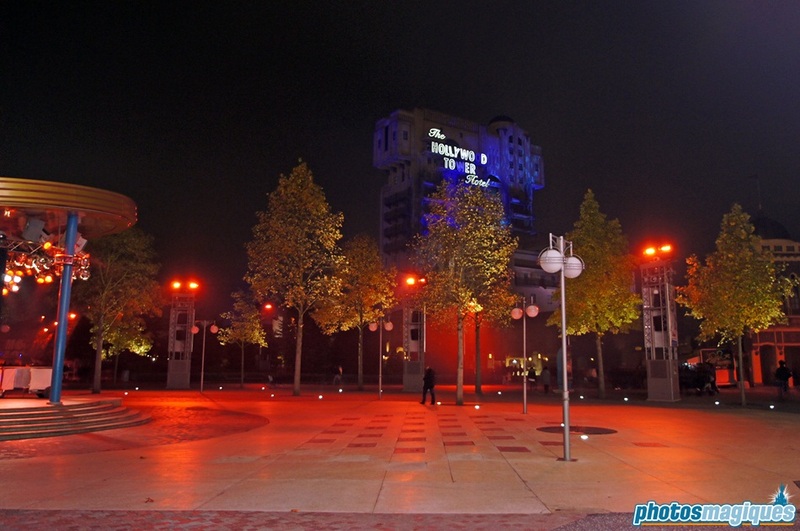 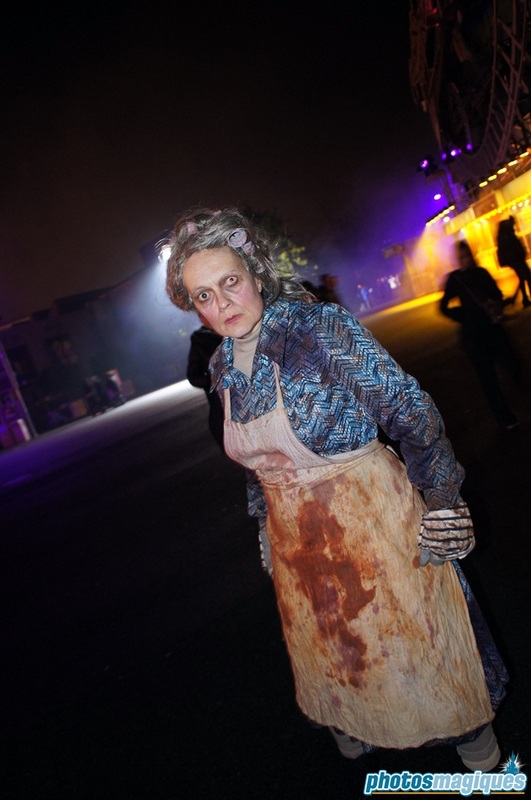 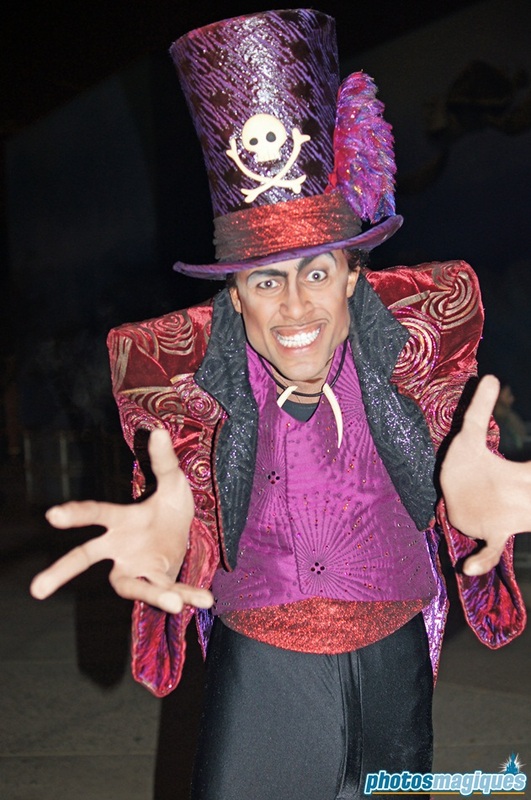 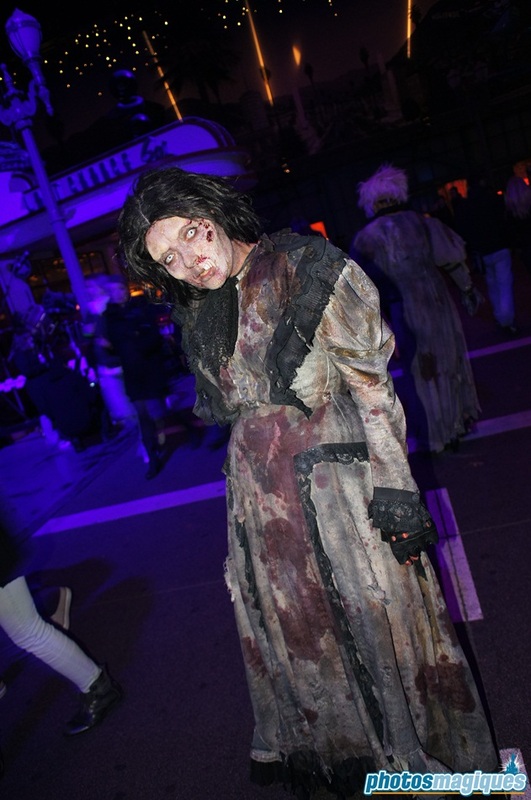 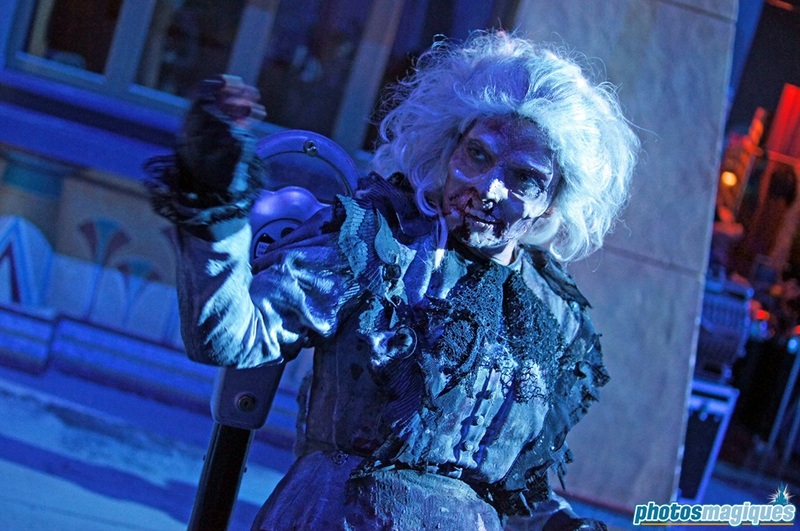 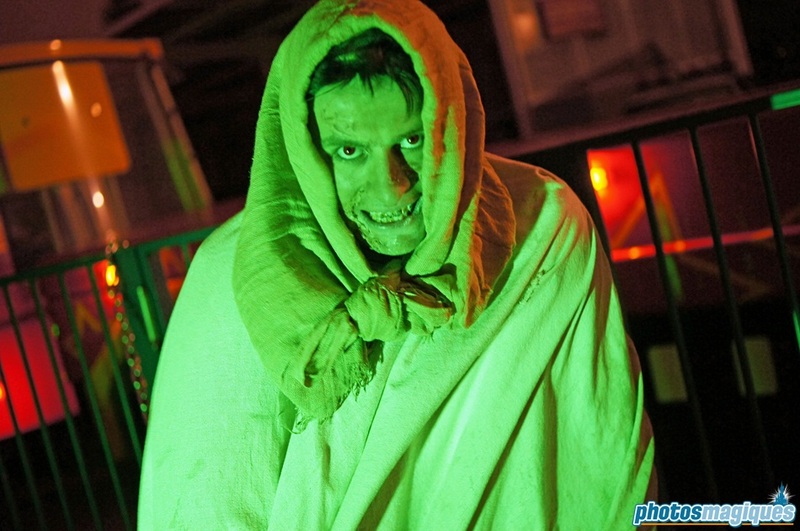 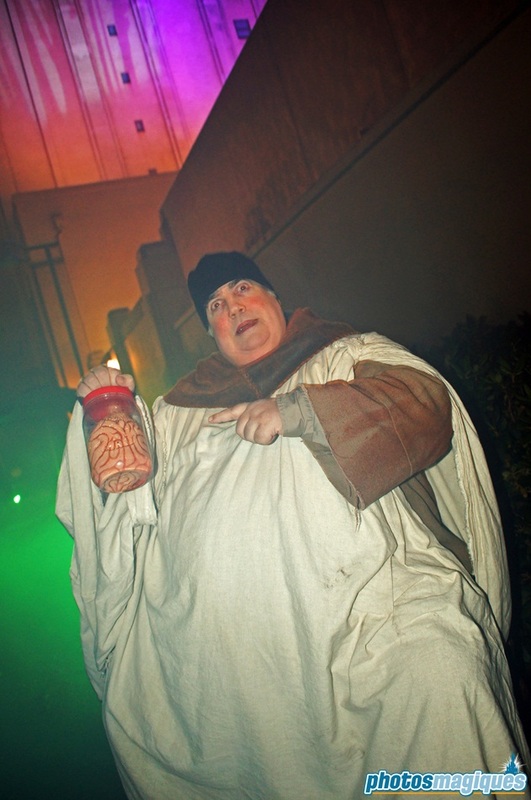 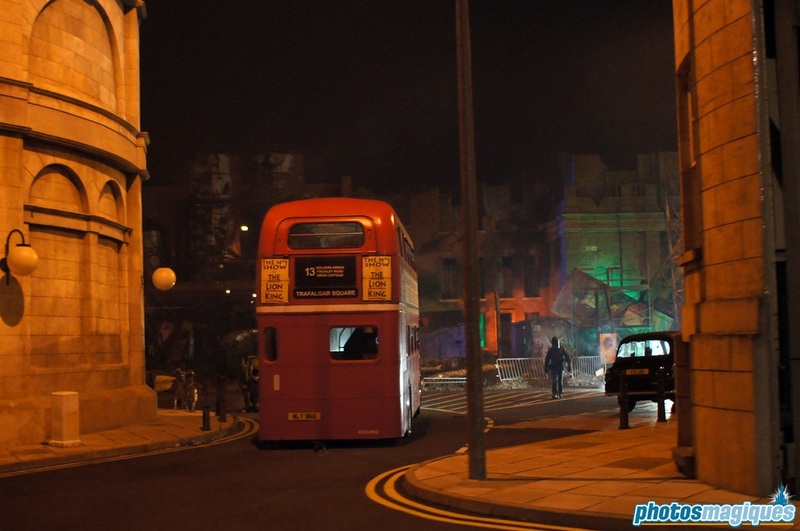 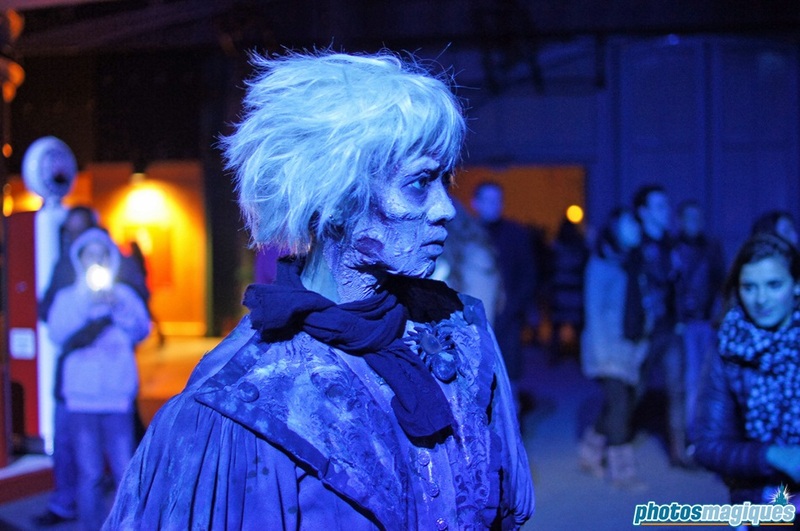 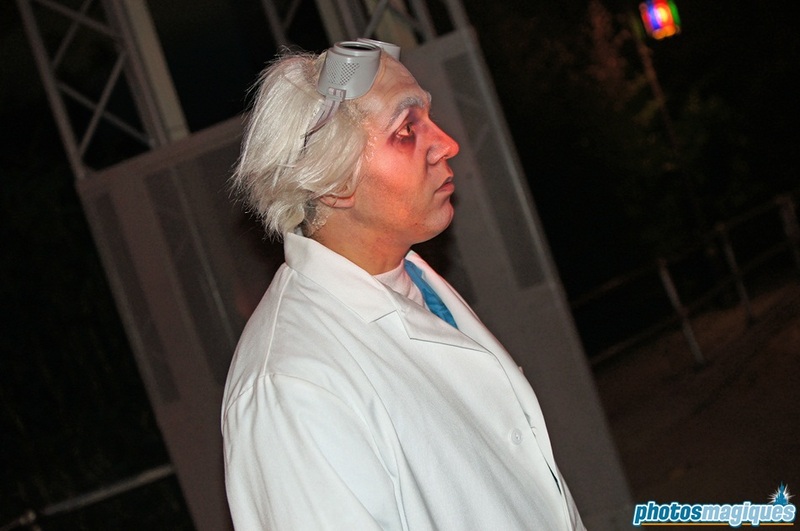 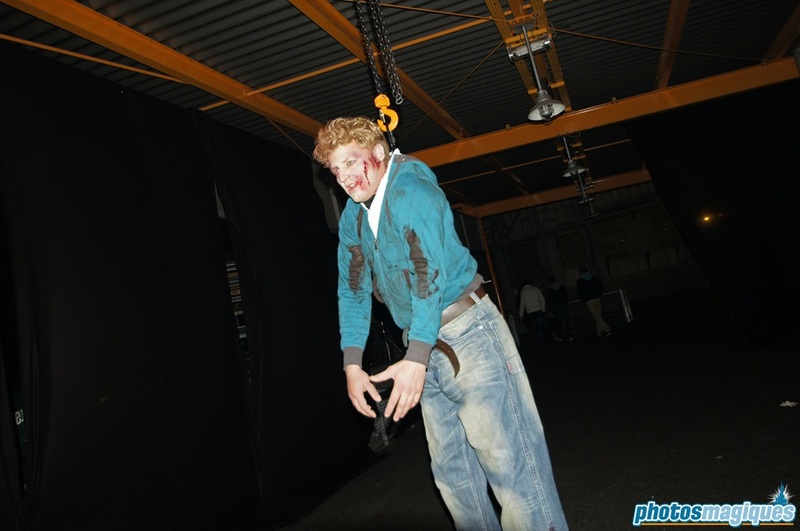 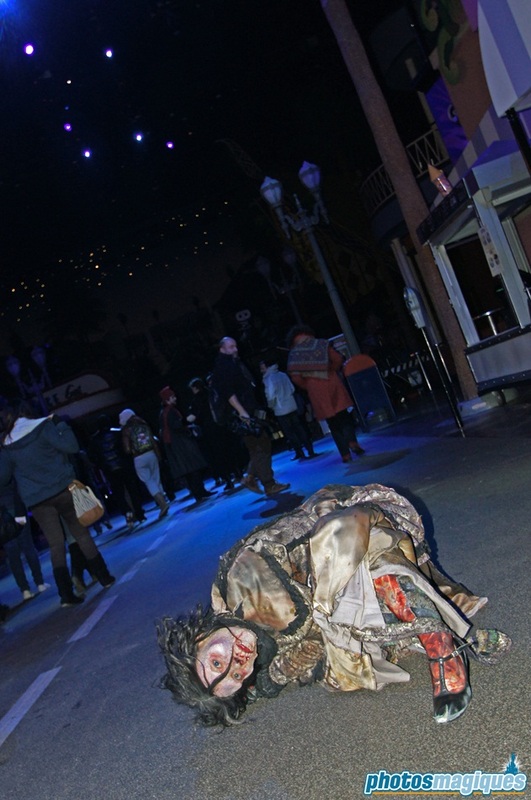 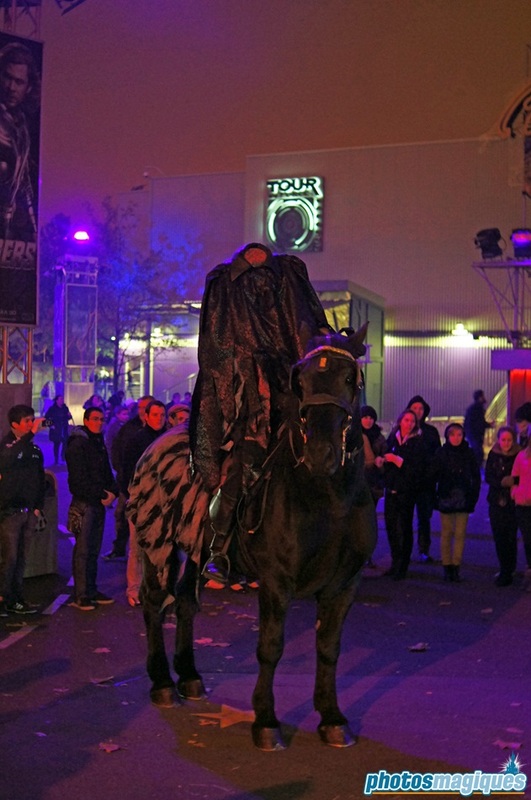 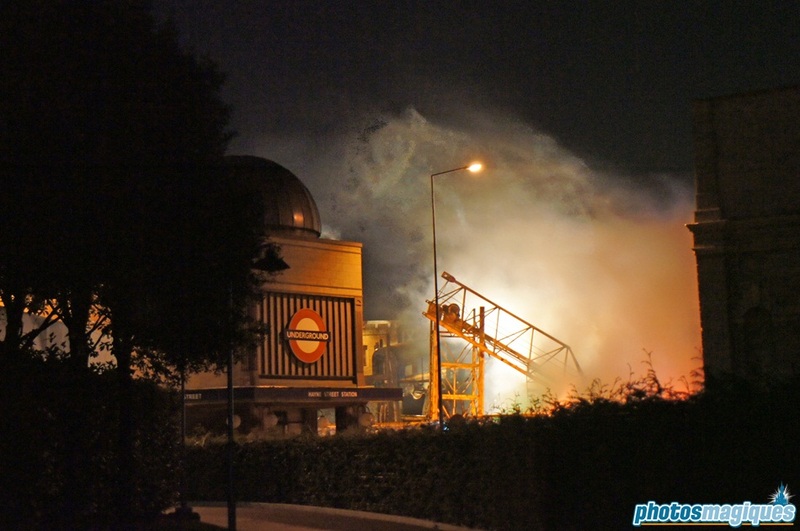 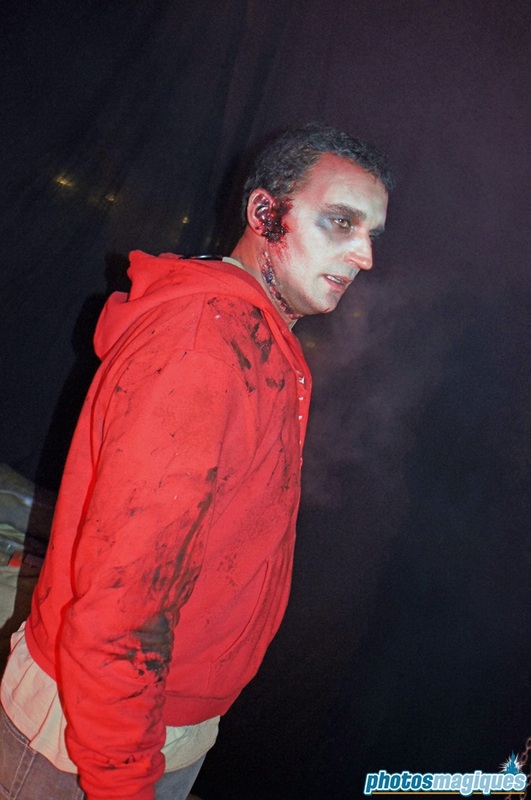 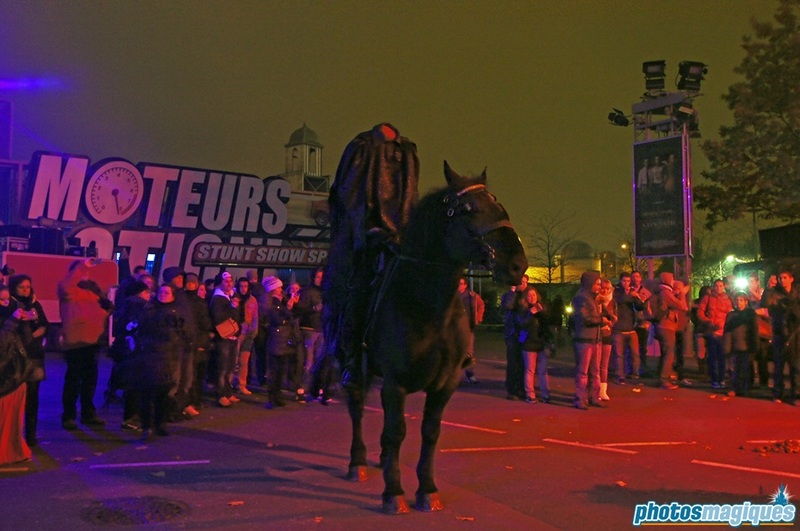 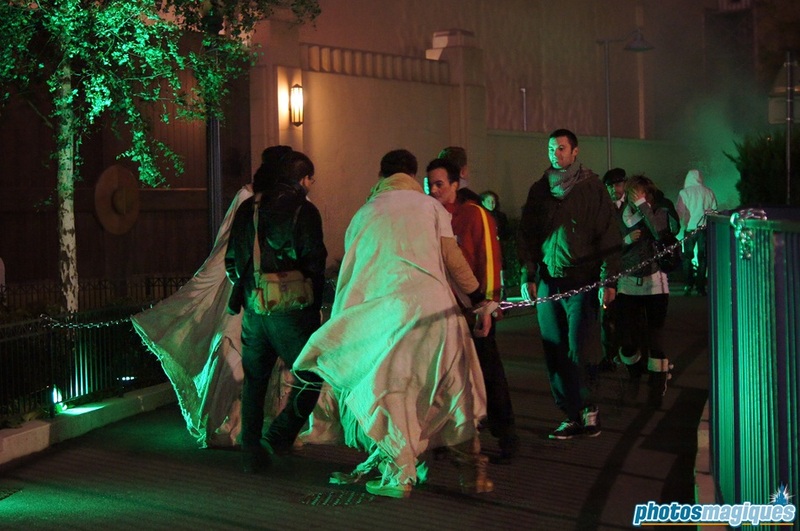 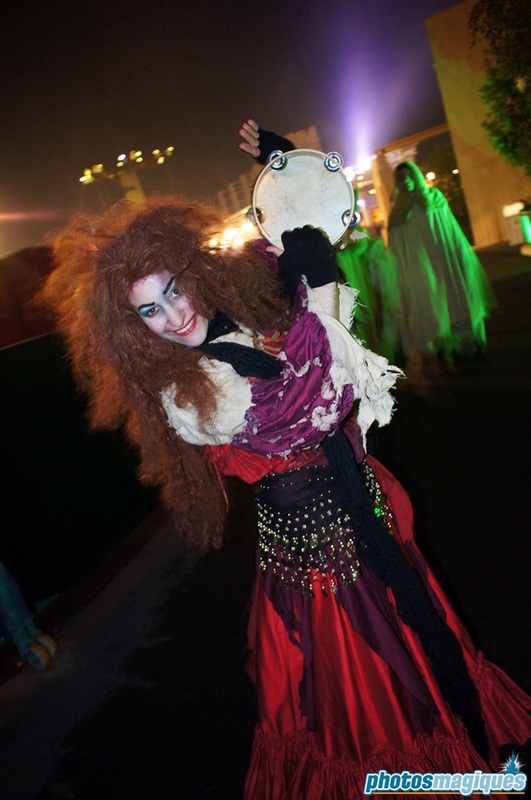 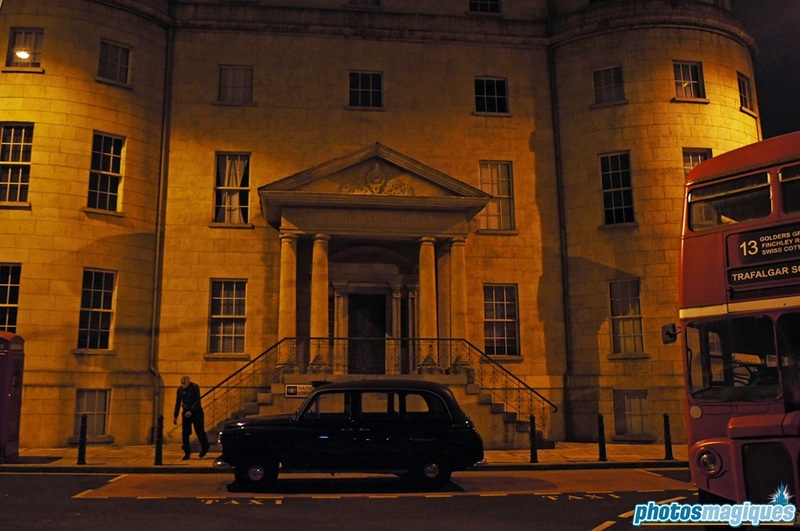 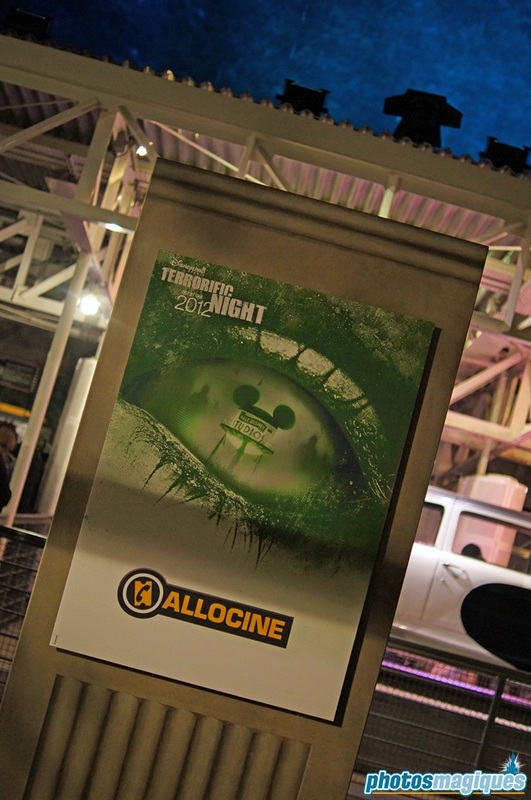 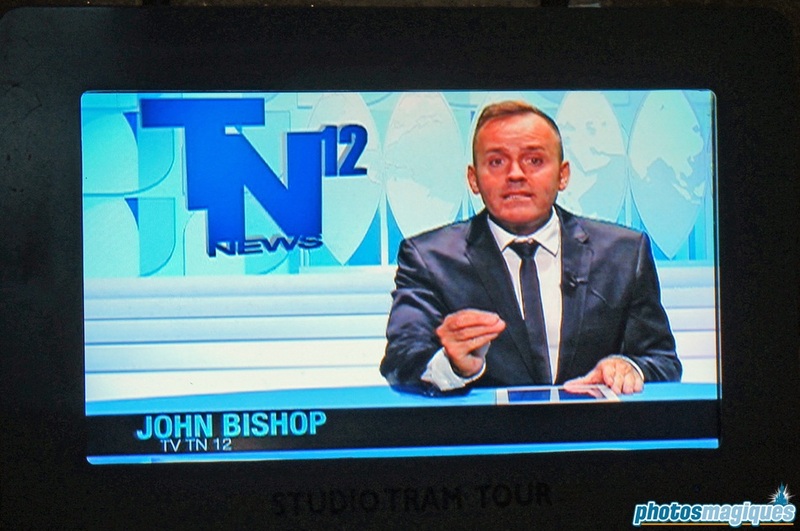 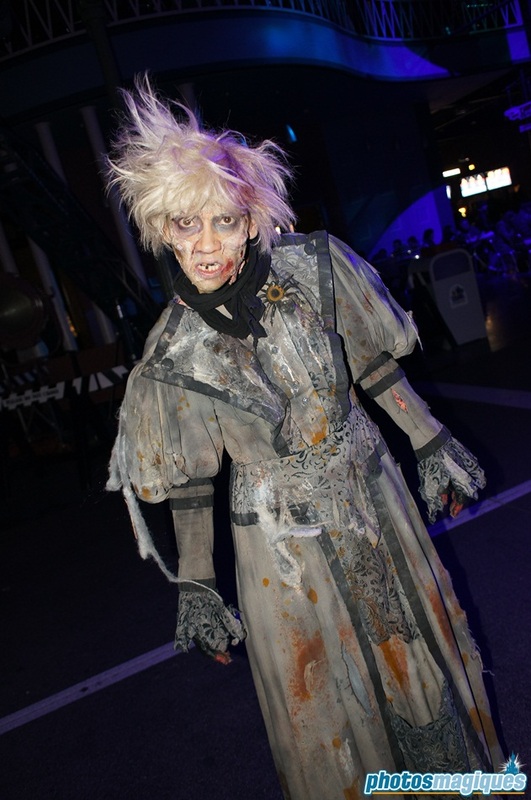 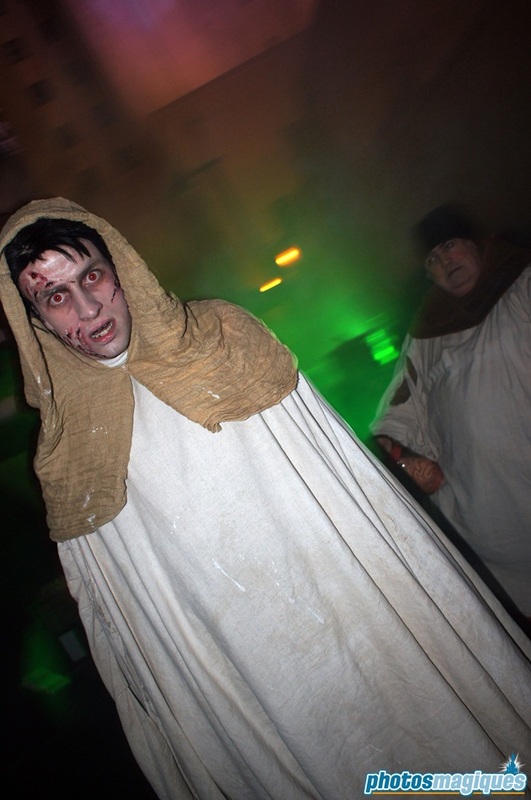 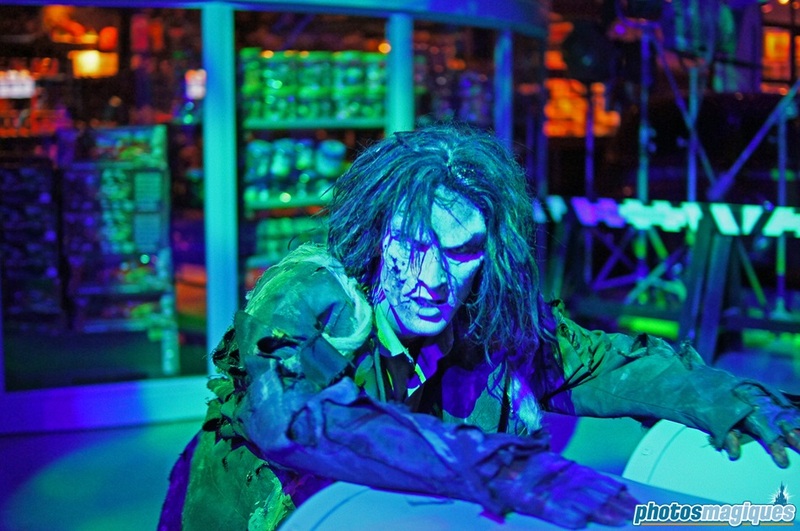 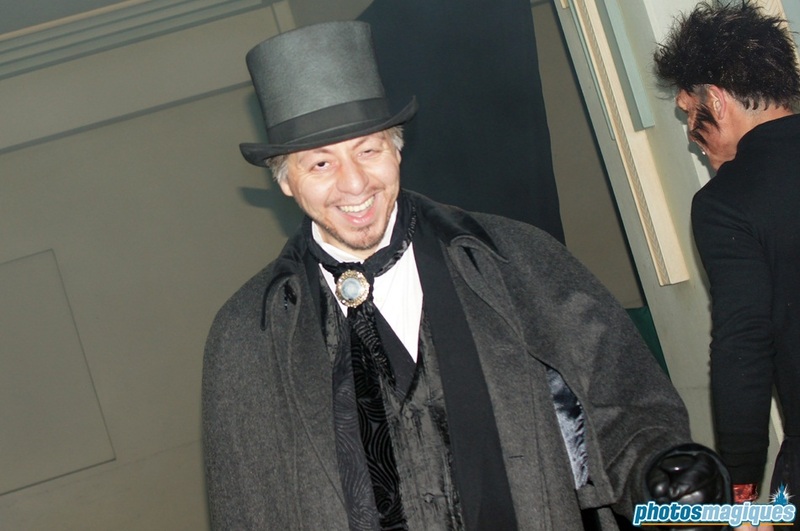 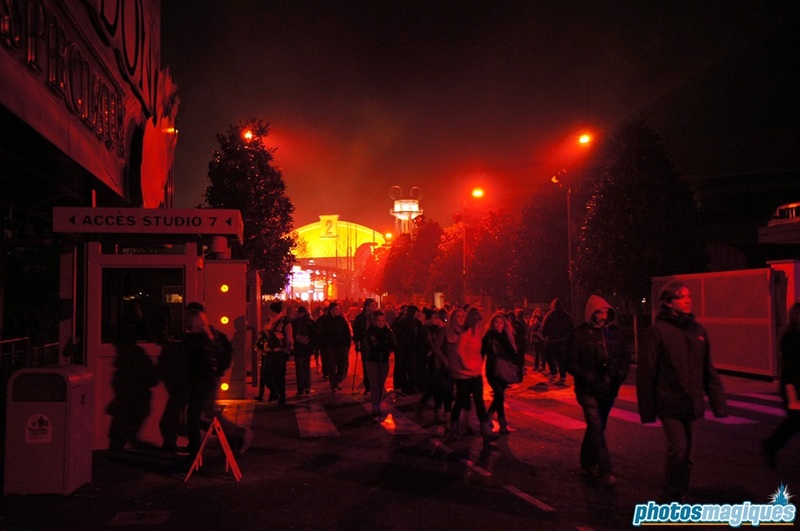 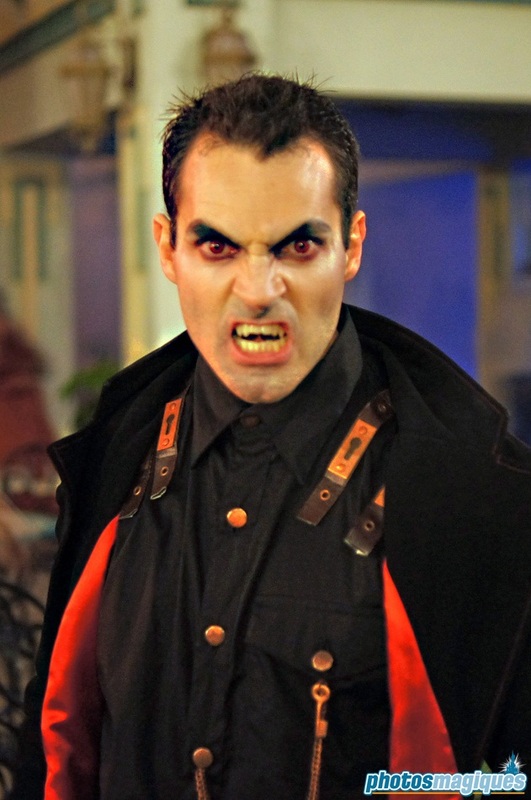 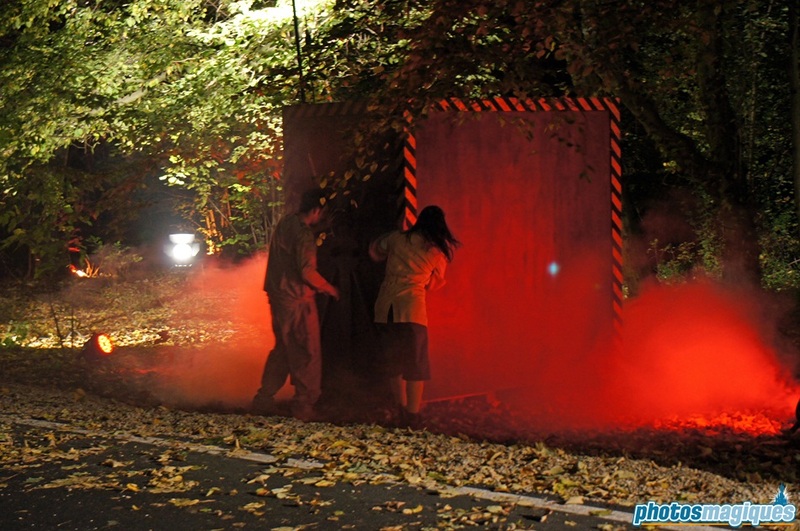 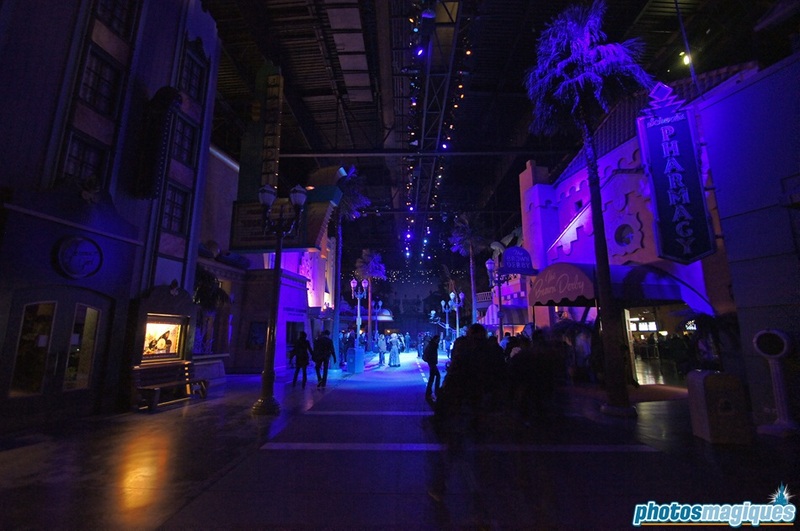 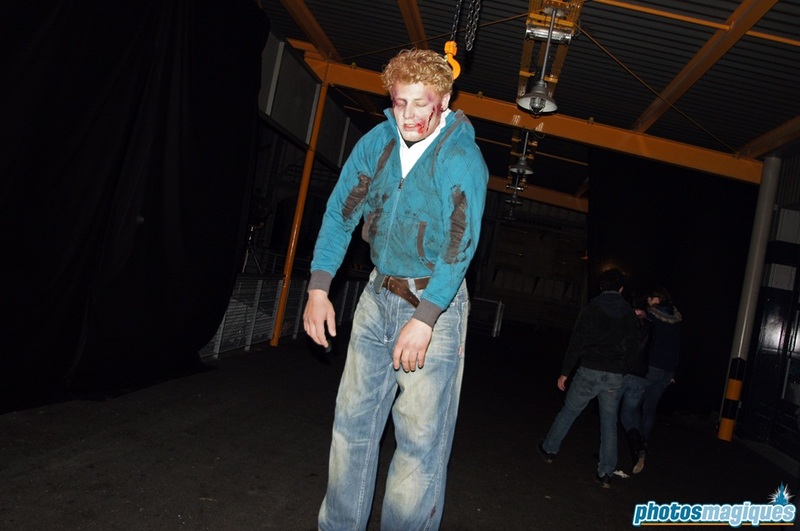 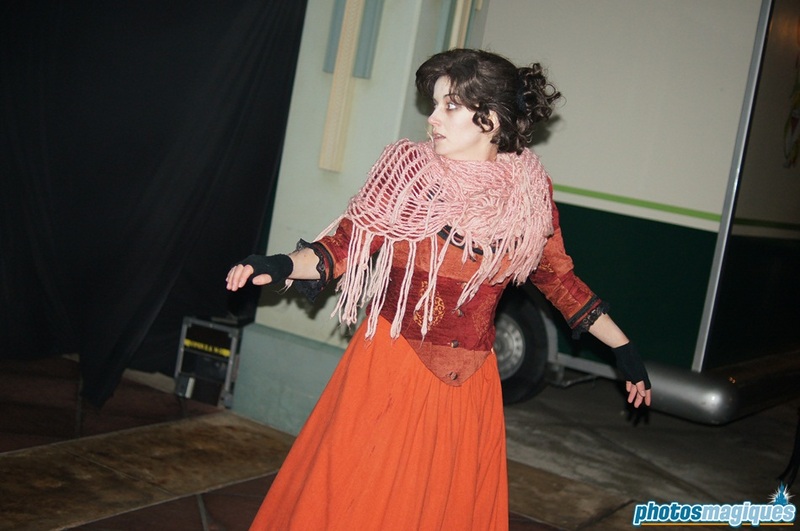 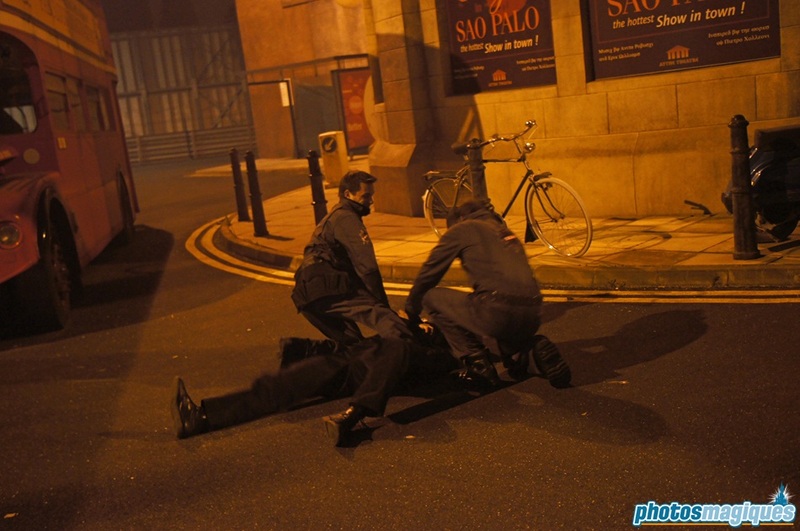 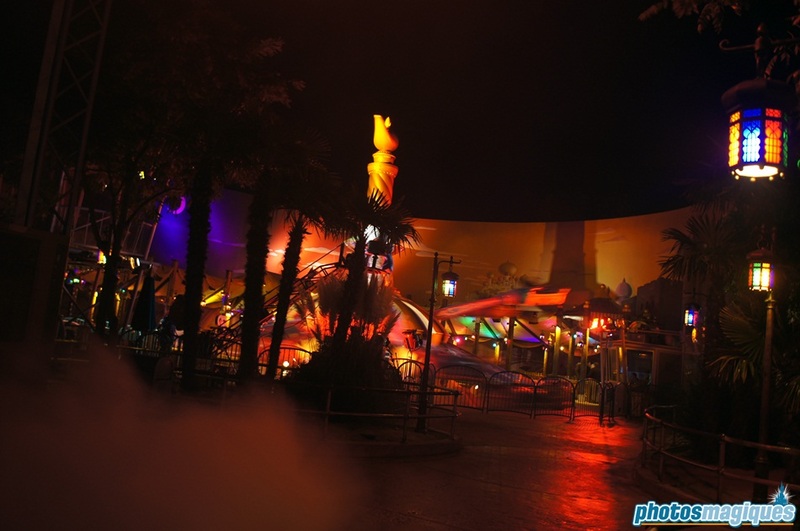 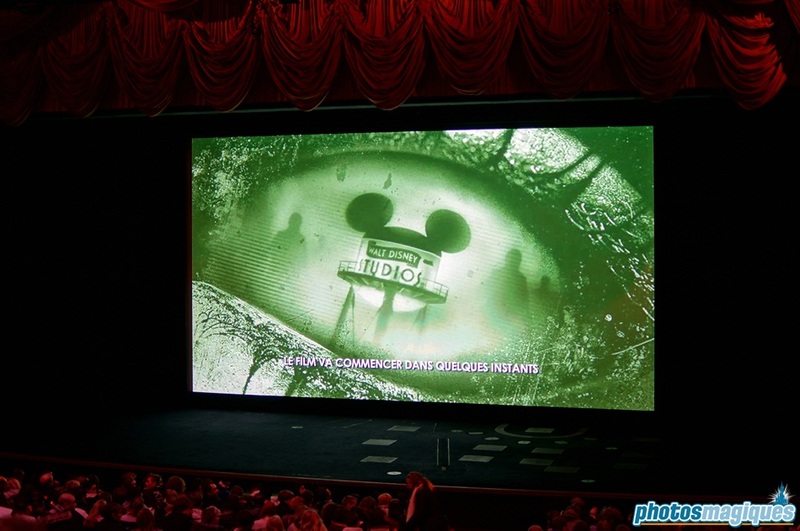 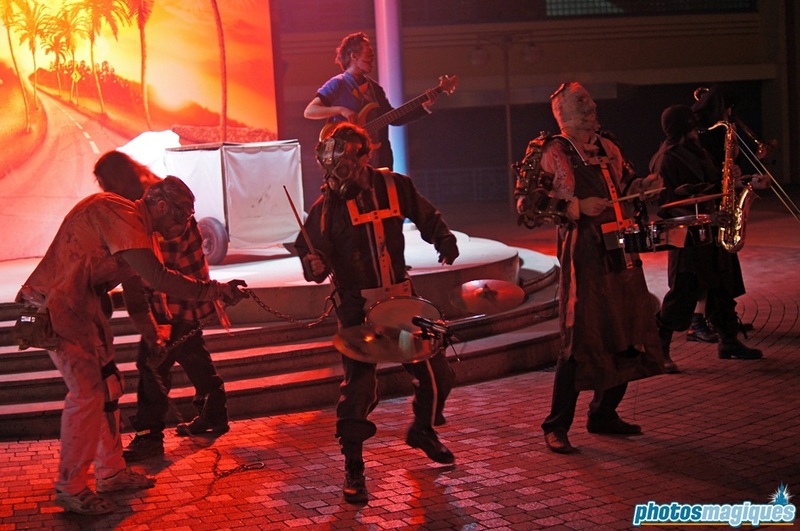 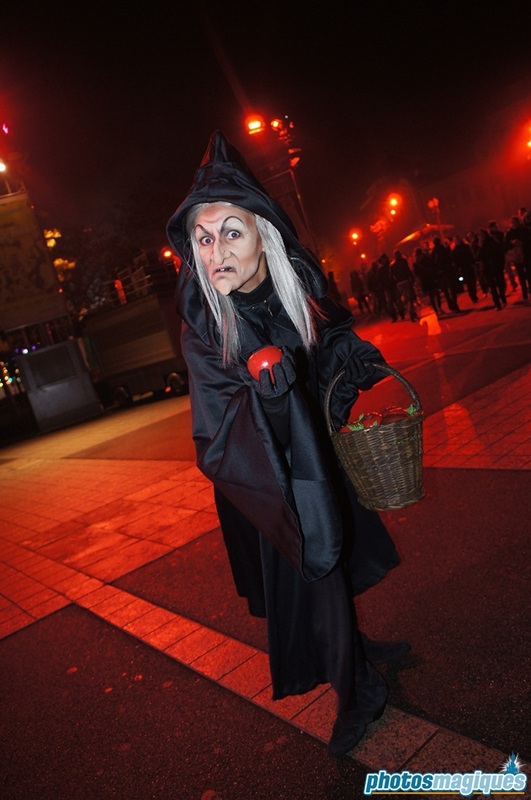 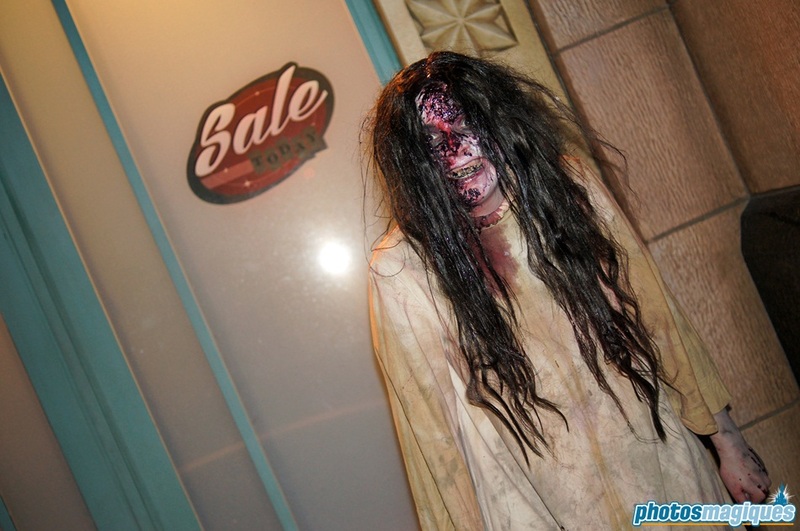 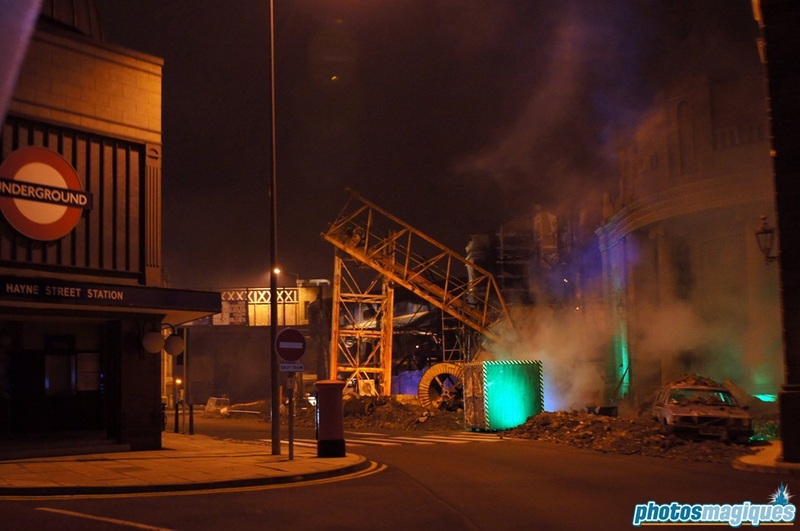 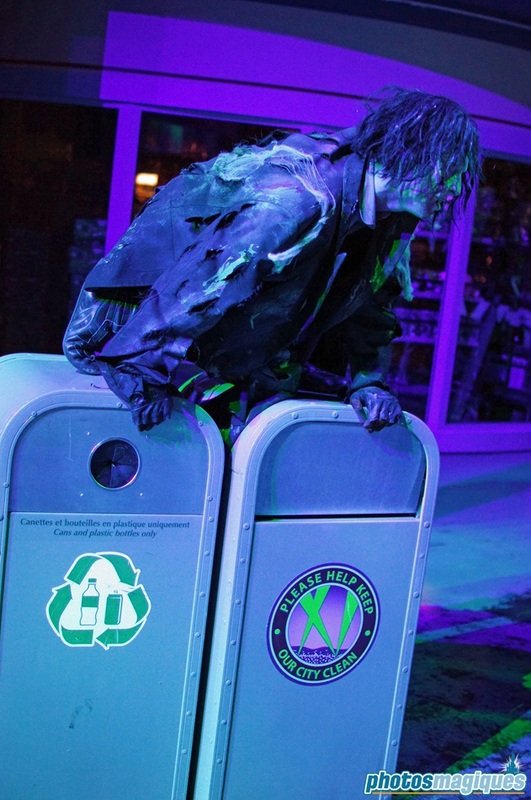 Terrorific Night took place for the fifth time at Walt Disney Studios Park on 26 and 27 October 2012. 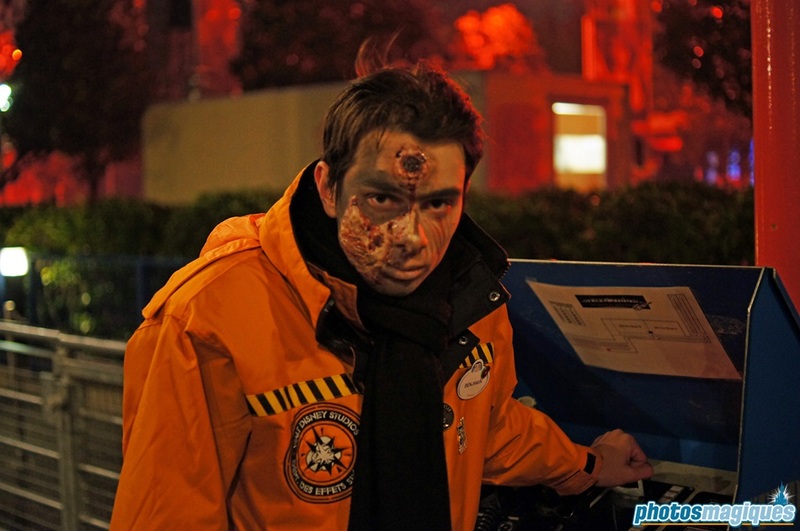 This hard ticket event is aimed at (young) adults and is not suitable for children under 12, although they will not be denied access to the park. 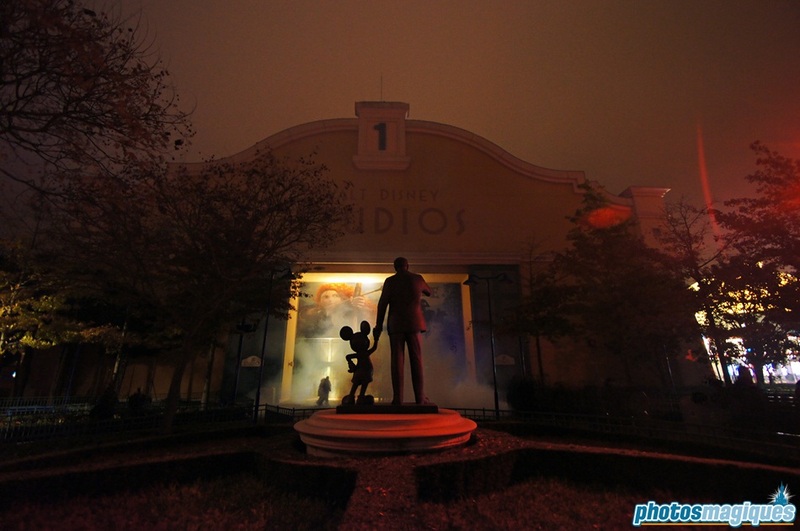 Darkness Blvd: earie creatures roam Disney Studio 1. 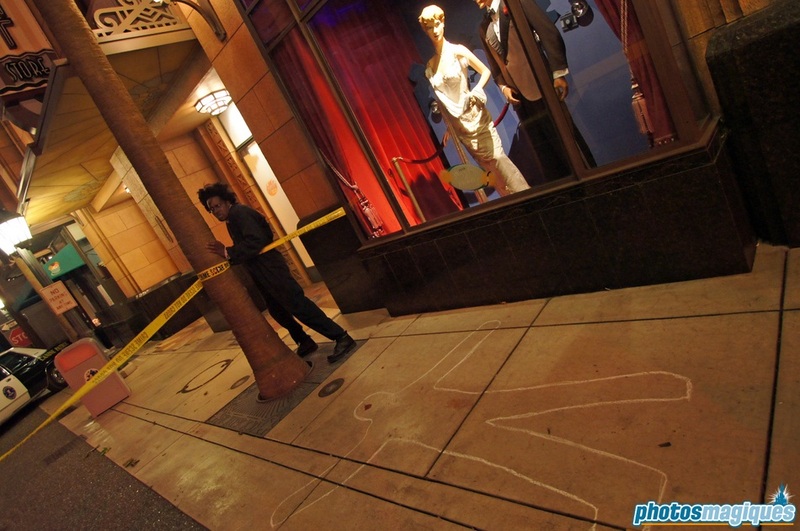 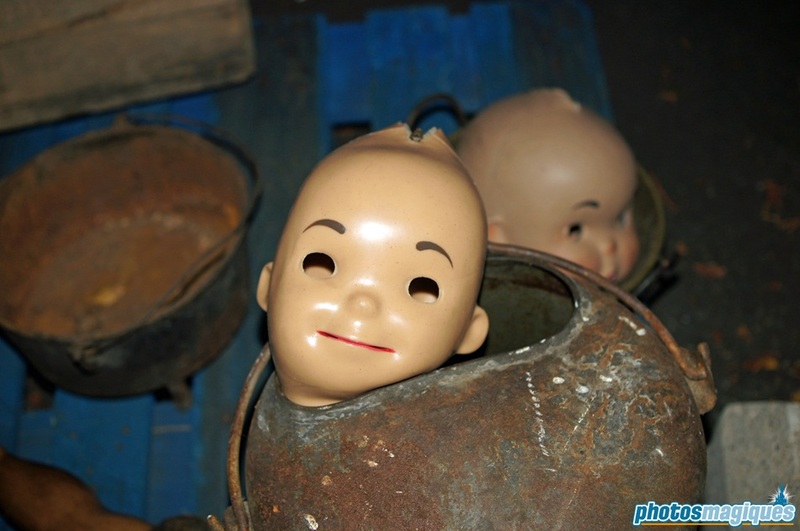 Psycho Blvd: patients from a mental institution wonder around on Hollywood Blvd. 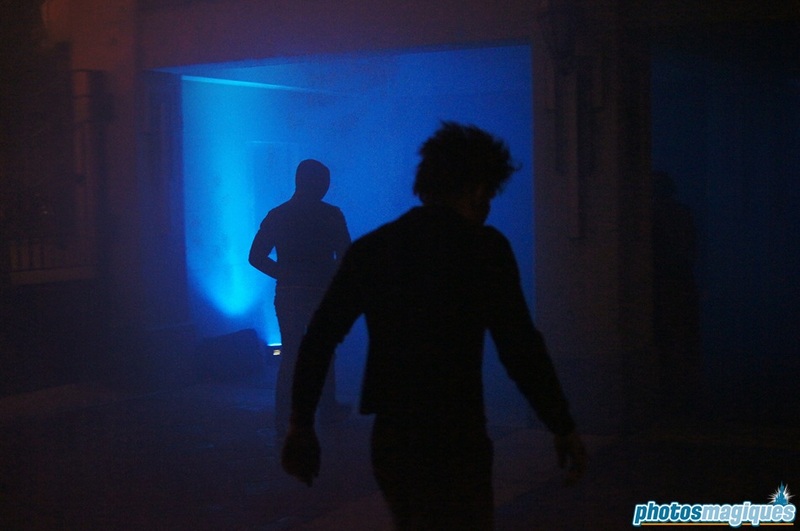 Whitechapel 1888: Jack the Ripper, werewolves and vampires are looking for victims in the fog filled La Terrasse. 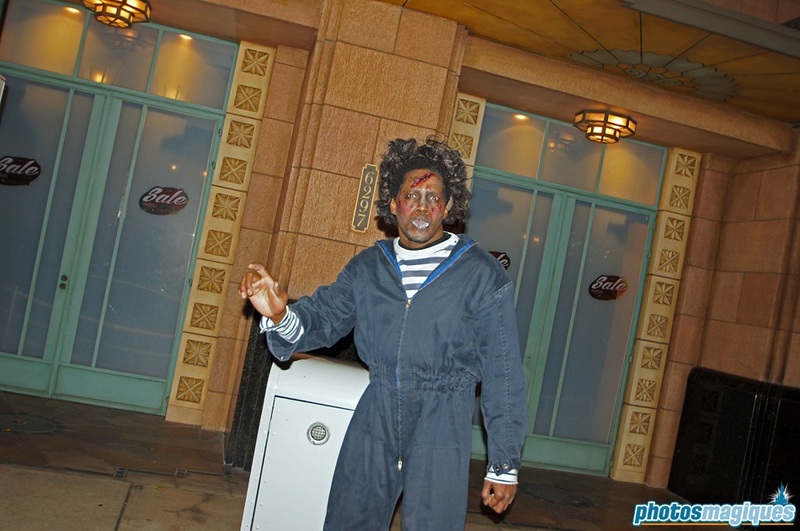 Horror Market: freak show characters try to sell gruesome items on the road behind The Twilight Zone Tower of Terror. 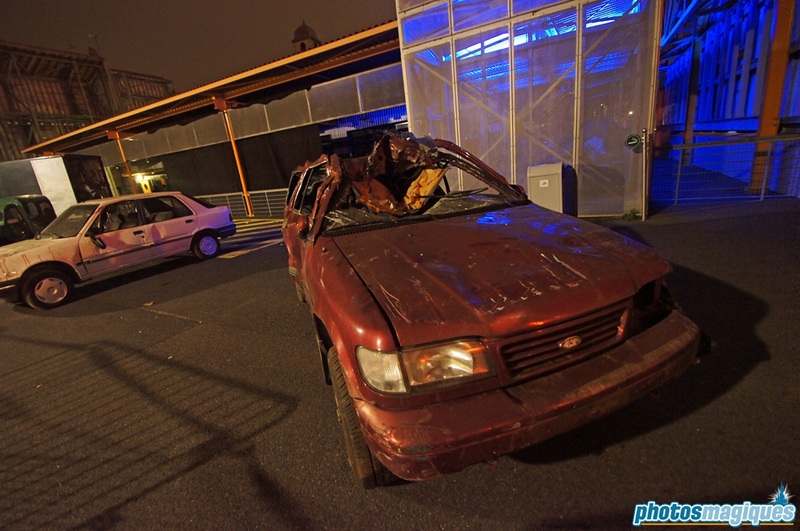 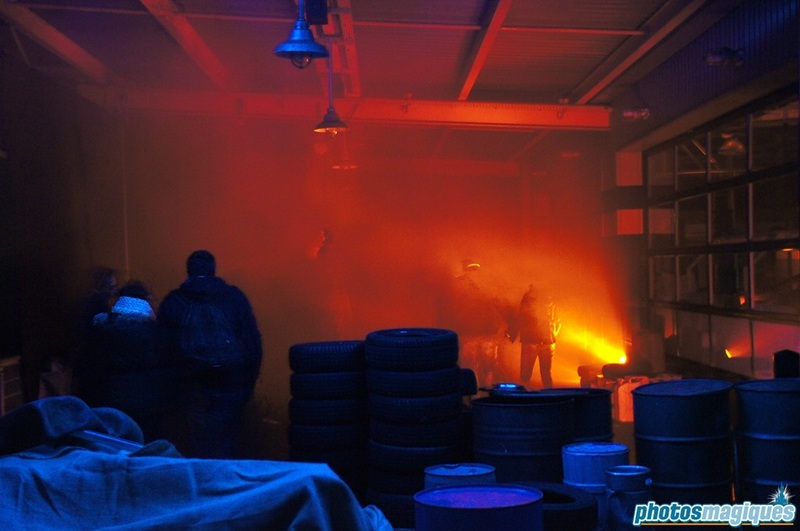 Station-Service: the queue line of Moteurs… Action Stunt Show Spectacular is turned into the garage of the human slaying Butcher Brothers. 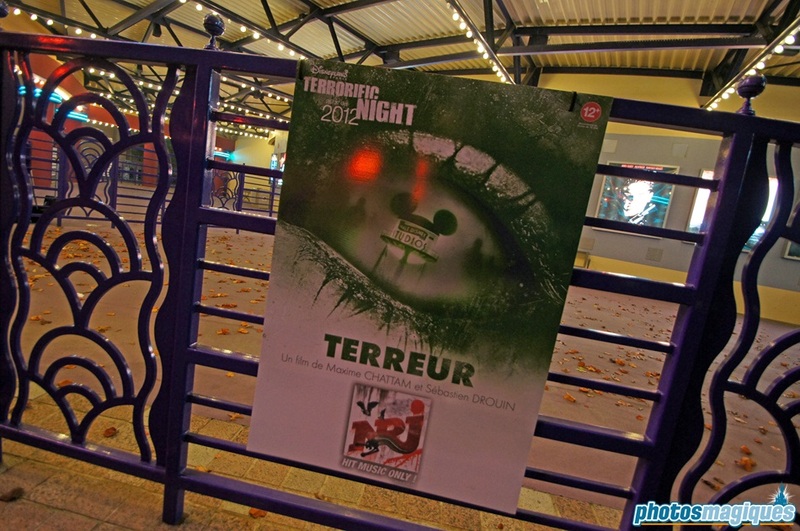 Big novelty this year was a 20 minute film called Terreur by French horror writer Maxime Chattam and French director Sébastien Drouin. 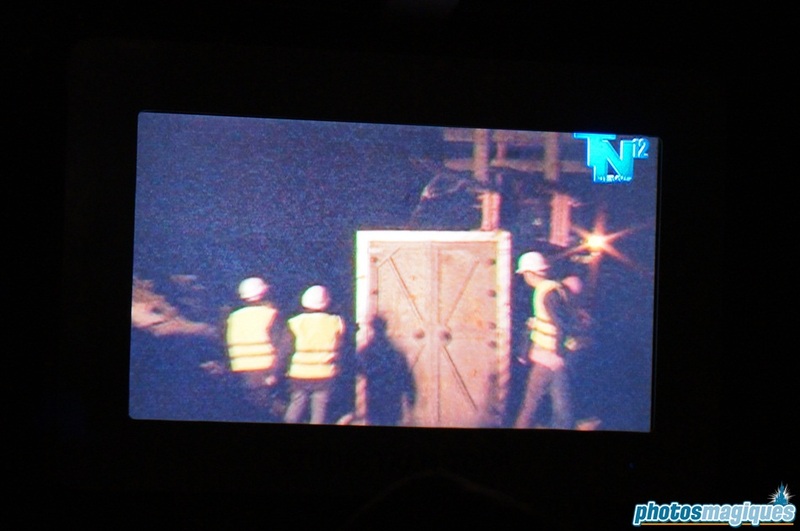 The short film starts with a live video feed coming from the security control booth at Cinémagique. 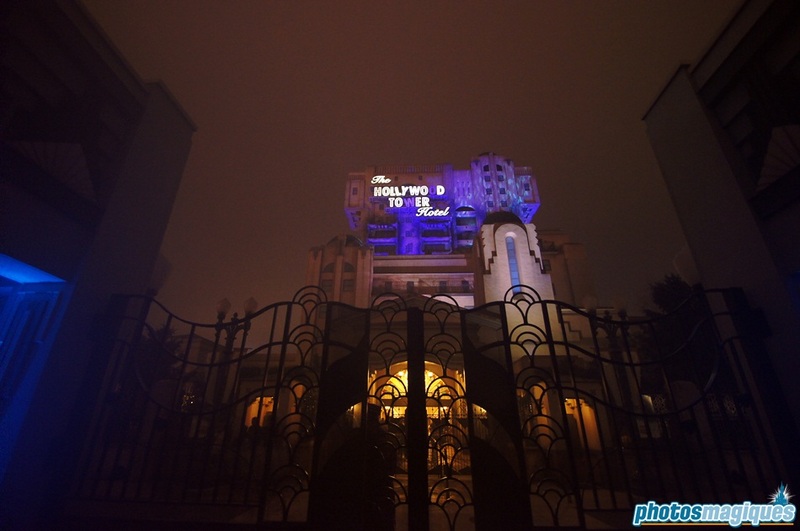 As the security guard notices strange events in the backstage area of the Twilight Zone Tower of Terror, he sends his colleague with a camera helmet to investigate it. 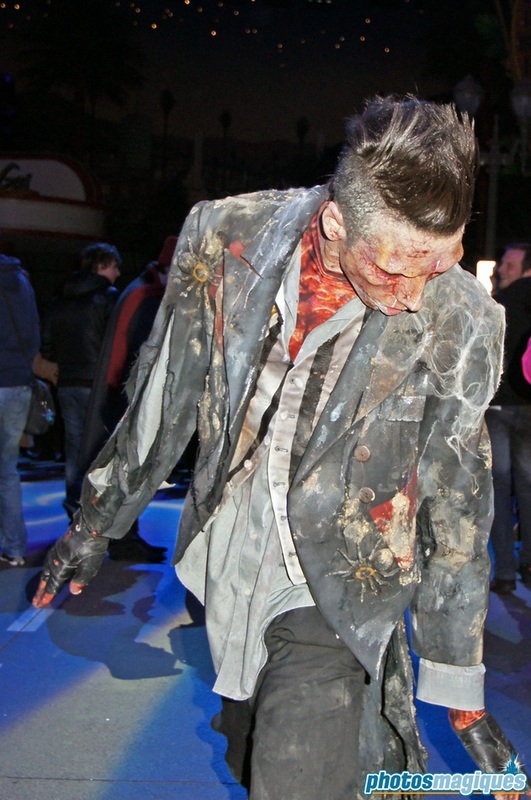 When he eventually gets attacked by creepy zombie-like creatures, a female security agent goes looking for him. 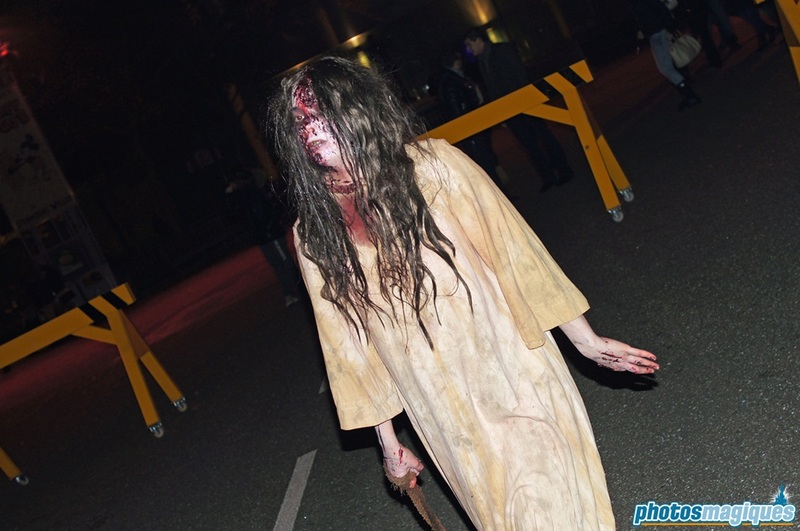 She as well disappears in the hands of the zombies, forcing the main character to venture off in the park. 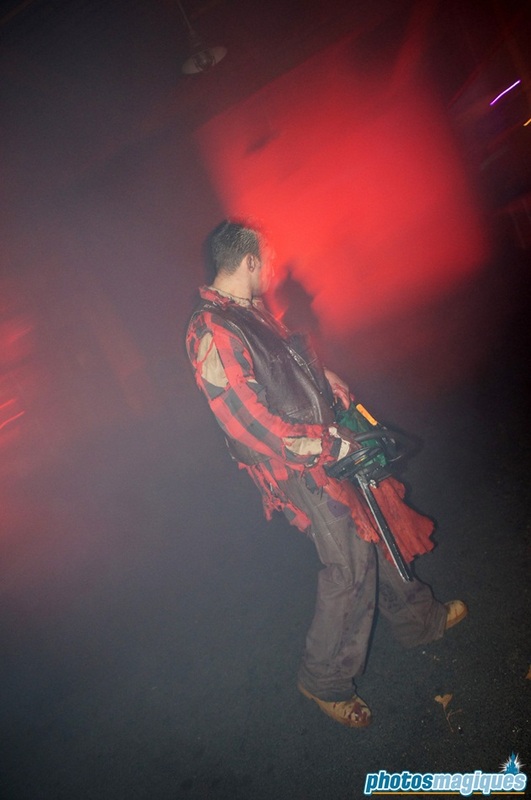 After being chased by the zombies and Lost-like smoke monsters, he ends up running into the Cinémagique Theatre, telling everyone to leave at once. 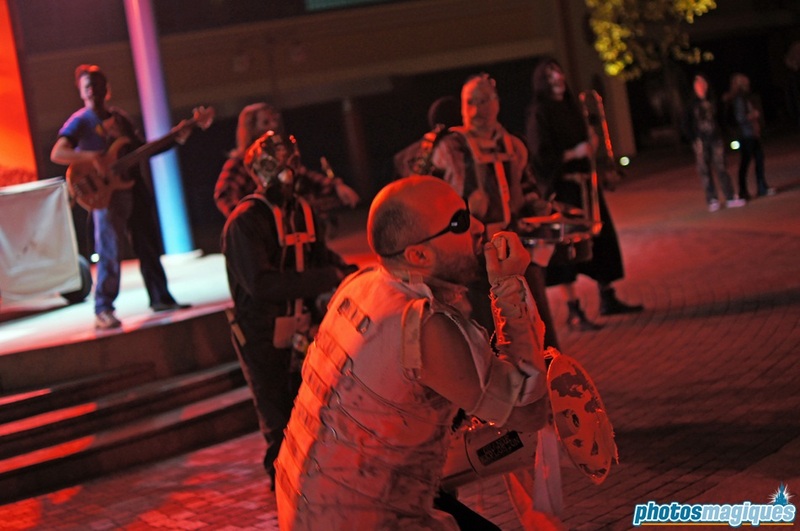 On top of all of this, there was also a live rock band on Production Courtyard Stage, Disney Villains in Toon Studio, a loud firetruck, a headless horse man and almost every Walt Disney Studios Park attraction in operation. 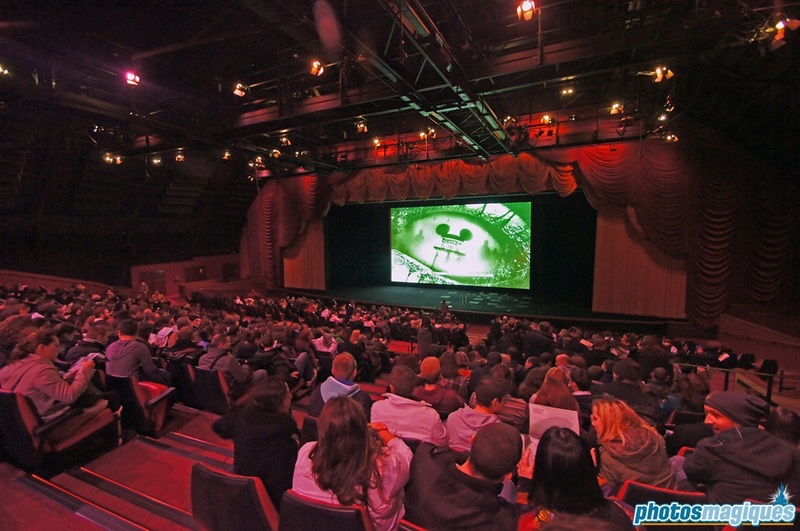 If you want to attend this event, be sure to book your tickets as soon as possible, as both nights were sold out.